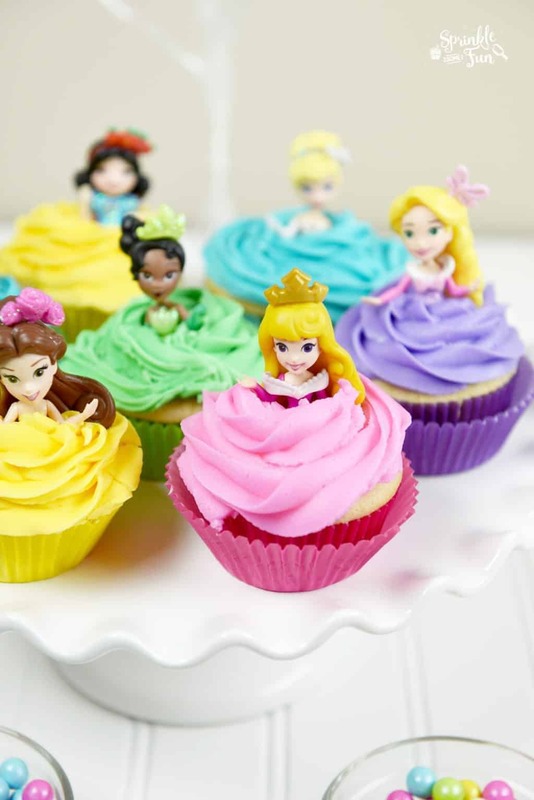 Disney Princess Doll Cupcakes are a much smaller version of the Doll type cakes These are the perfect treat for any Disney princess fan and will be the hit of any Disney princess party. 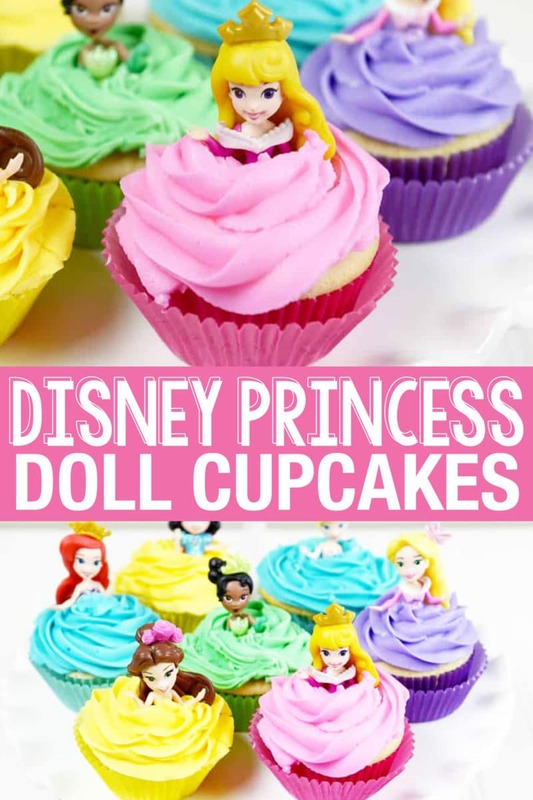 This Disney Princess Doll Cupcakes post contains affiliate links. My girls and I had a fun surprise party the other night just for fun. Of course we had to have a Disney Princess theme complete with Princess Party Balloons and Disney Princess Doll Cupcakes! This is the second time that we have made these cute Disney Princess Doll Cupcakes and I just love the result each time! These adorable cupcakes double as party favors and are so easy to make! 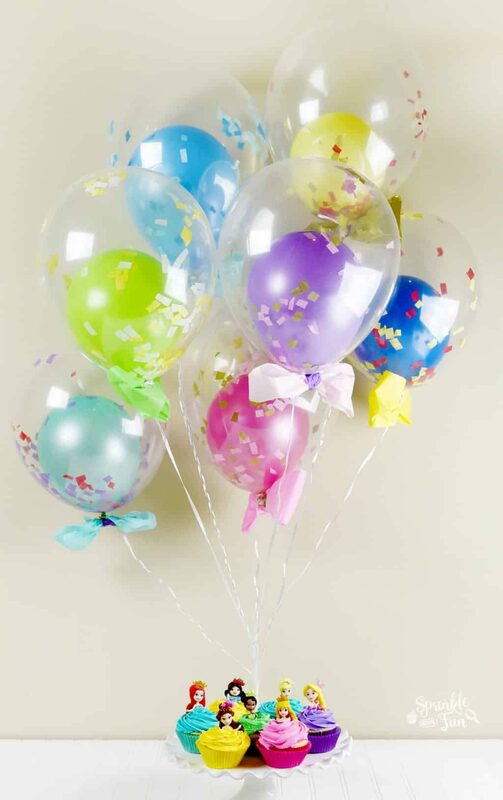 We placed them on the table with small dishes of princess colored chocolate candies along with Princess Party Balloons. This is a much smaller presentation that our other Disney Princess party which can be found here. 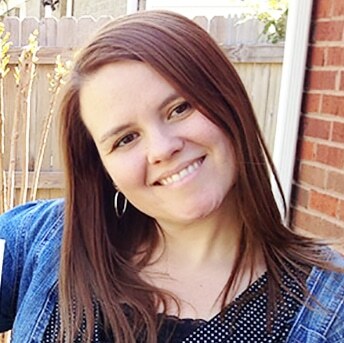 I love this idea for a smaller get together with friends or a fun Disney Princess Tea Party. The girls love playing with the dolls once the cupcakes are eaten up. 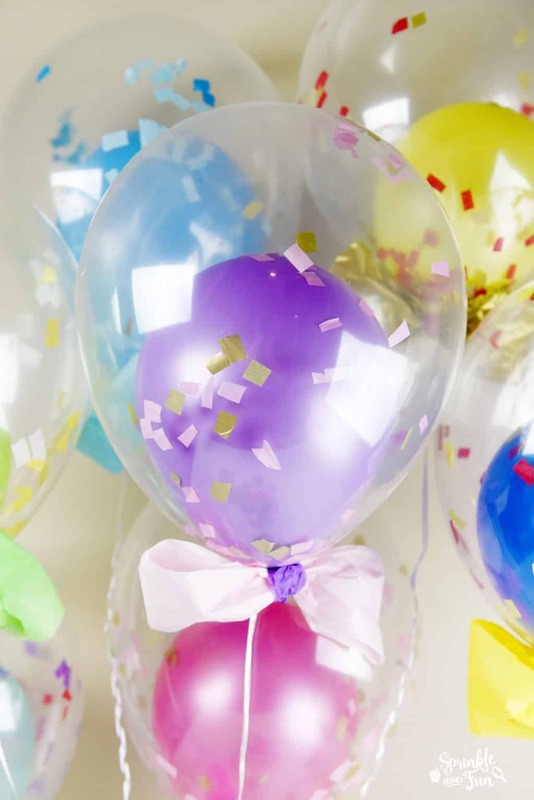 You can find the tutorial for the balloons here. I think the cupcakes with the balloons are just perfect together! 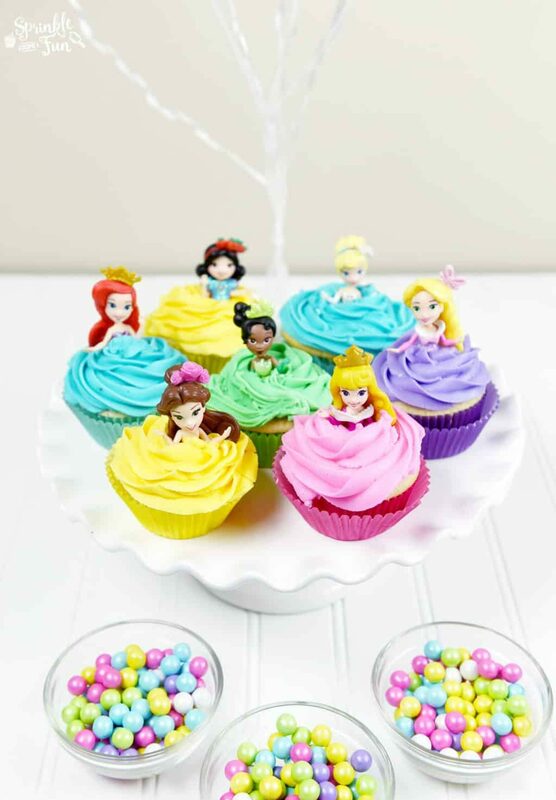 I love all the bright colors of the Disney Princesses! 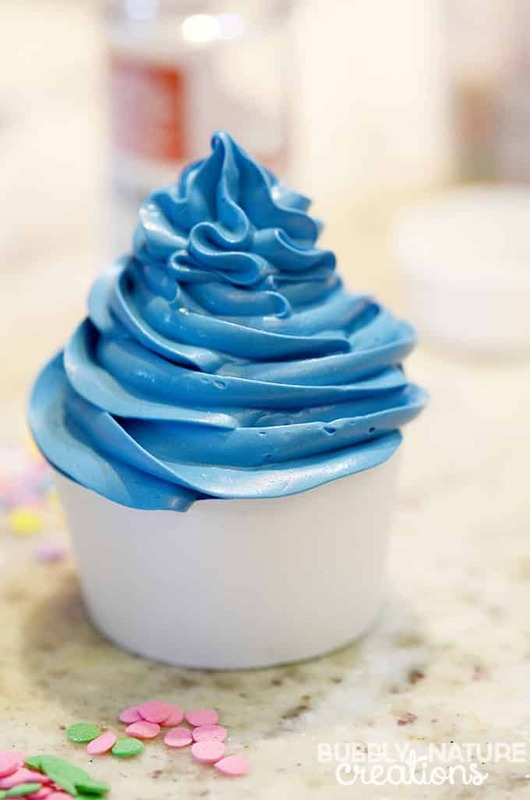 To make the cupcakes just pipe the icing on top using a 1M piping tip (affiliate) http://amzn.to/29ytqD9. Then stick the Disney Princess Collection (affiliate) http://amzn.to/29T8K73 figures into the top. We used several colors for the dresses so make sure to divide the buttercream and then color it if you want them to be different colors. We love making these and I am sure that they will make many appearances throughout the years. What is your favorite Disney princess? 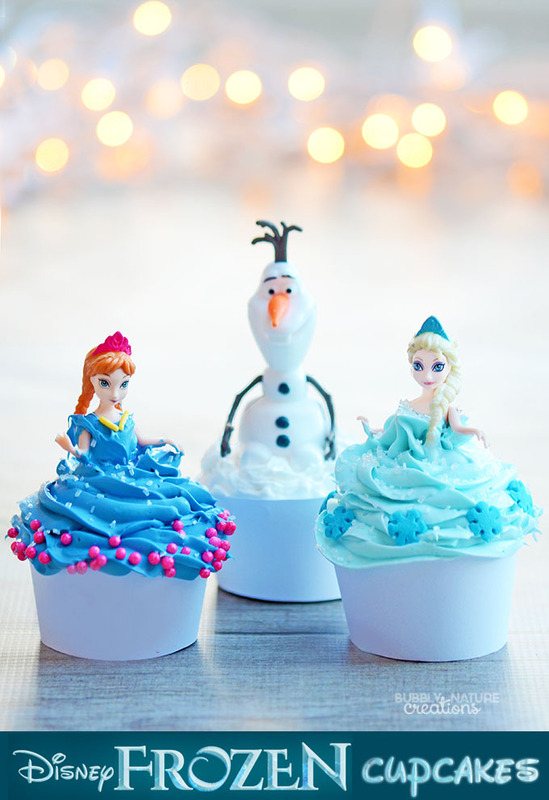 Be sure to also check out the Disney FROZEN doll cupcakes that I made a few years ago too! So cute and easy to make!